Mena has a new Mayor and a new Police Chief today. 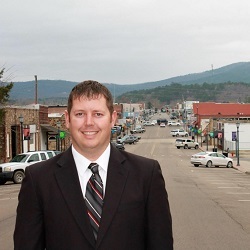 Seth Smith (shown below) became mayor today after out polling two other candidates in the general election and winning the runoff election. 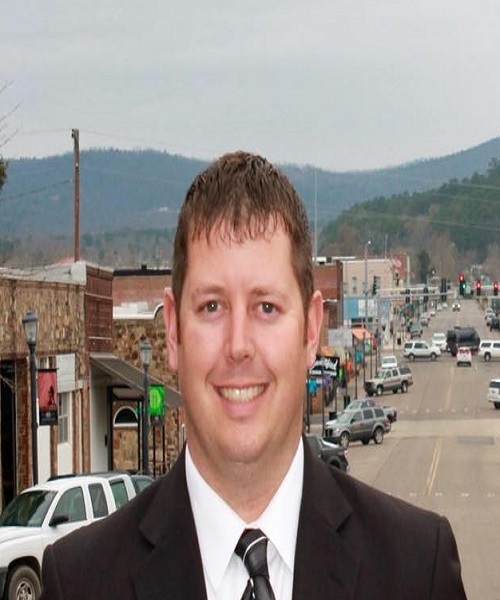 Smith is a Mena native, has a background in public service, and has been a local business owner. Mayor Smith has named Tommy Stueart (shown below) as the new Mena Police Chief. 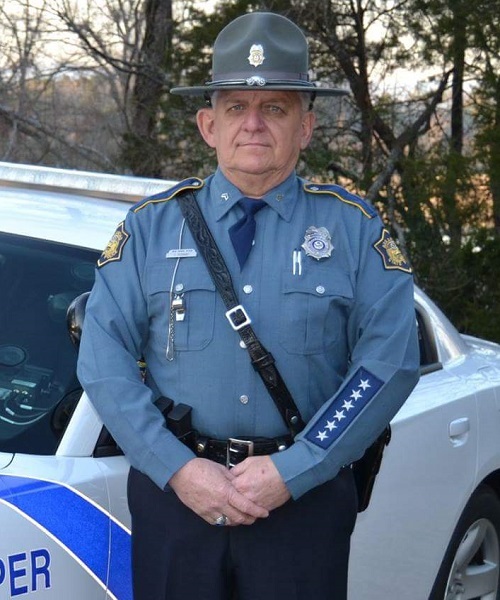 Stueart is a veteran of the US Air Force, retired Arkansas State Police Trooper, and has recently served as Polk County's Office of Emergency Management Director. Kris Lyle is the interim Office of Emergency Management Director. Long time Mena Policeman and Assistant Police Chief Ed Gibson retired at the end of the year. 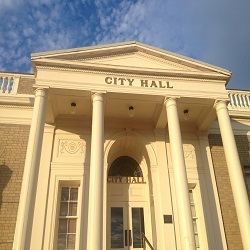 Gibson was elected to the City Council so will still be a part of city government. 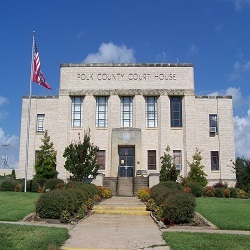 Newly elected officials and returning elected officials will be sworn in by Judge Danny Thrailkill at 9:00 a.m. Wednesday, January 2nd in the Courtroom of the Polk County Courthouse. The ceremony is open to the public. The following information was received from Polk County Sheriff Scott Sawyer for the week of December 17, 2018 – December 23, 2018. The charges against those arrested are allegations and the cases are still pending in the courts. 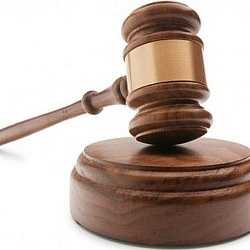 Individuals charged and whose names appear in this column may submit documentation to us at a later date that the charges have been dismissed or that they have been found innocent and we will include that information in this space in a timely manner. Report from complainant on Wispy Lane near Mena of vandalism done to a license plate. Investigation continues. Report from complainants on Polk 35 near Hatfield of being threatened by an acquaintance. Information has been provided to the Prosecuting Attorney’s Office for further consideration. Report of a structure fire on Highway 272 near Rich Mountain. Deputies responded. Traffic stop on Highway 88 East near Mena led to a Citation for Reckless Driving being issued to Logan A. Frost, 20, of Mena. Report from complainant on Redbird Lane near Rocky of the theft and destruction of mail. Investigation continues. Report from complainant on Polk 13 near Wickes of damage done to logging equipment, totaling losses at $1,000.00. Investigation continues. Arrested was Gary D. Collier, 58, of Hatfield, on Warrants for Violation of Suspended Imposition of Sentence and two counts of Delivery of Schedule I/II Controlled Substance. Reports from complainants on Penny Lane near Mena of an unauthorized person on their properties led to the arrest of Kevin L. Fryar, 33, of Mena, on Charges of Criminal Trespass and Criminal Impersonation and a Warrant for Felony Failure to Appear. Report of a structure fire on Ruby Lane near Acorn. Deputy responded. Report from complainant on Polk 47 near Mena of the theft of a wood splitter, valued at $800.00, from a residence in Vandervoort. Investigation continues. 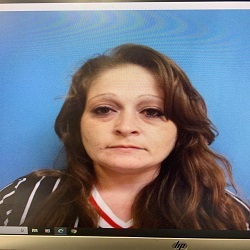 Arrested was Jessica L. Martin, 31, of Cove, on Charges of Possession of a Controlled Substance, Possession of Drug Paraphernalia, and two counts each of Delivery of Meth or Cocaine and Delivery of Schedule I/II Controlled Substance. Report of a disturbance in the Polk County Detention Center. Deputies responded. 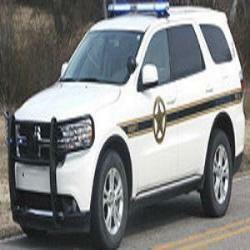 Report from complainant on Highway 71 South near Potter of the theft of two vehicles. Investigation continues. Report of a disturbance on Polk 48 near Potter led to the arrest of Leon Thacker, 72, of Mena, on a Charge of Domestic Battery 3rd Degree. Traffic stop on Highway 71 South near Hatfield led to the arrest of Victoria P. Tackett, 25, of Mena, on Charges of DWI and Driving Left of Center. Report of a disturbance on Grove Street in Cove led to the arrest of Oscar Ramirez, 48, of Cove, on a Charge of Disorderly Conduct. Report of a disturbance on Heritage Lane near Hatfield led to the arrest of Kenneth E. Cline, 55, of Hatfield, on a Charge of Domestic Battery 3rd Degree. KAWX radio is pleased and excited to announce that the old time radio show Lum and Abner will be added to our weekday lineup starting December 31st. 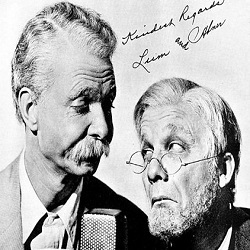 The Lum and Abner program will be the anchor program for the new Lum and Abner and Old Time Radio Show heard weekdays at 6:30 p.m.
After the Lum and Abner program there will be another old time radio show each day. To kick the new show off, the December 31st episode of Lum and Abner is when they try and start their own radio station over in Pine Ridge, followed by an episode of The Baby Snooks. Starting January 1st and for some time the second program will be Superman. 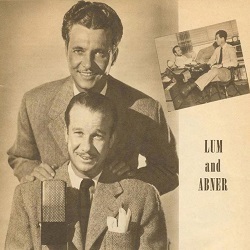 During the Golden Age of Radio, the Lum and Abner show was one of the most popular and longest running shows, and the actors, Chet Lauck and Norris Goff, were both from Mena. 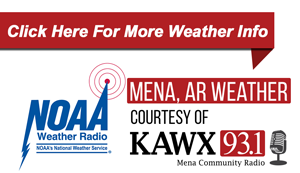 Listen locally on FM 93.1 or 94.9, anywhere in the world at kawx.org, with a free KAWX app available at the App Store or Google Play, on any smart device with the TuneIn app, or on Amazon Echo. 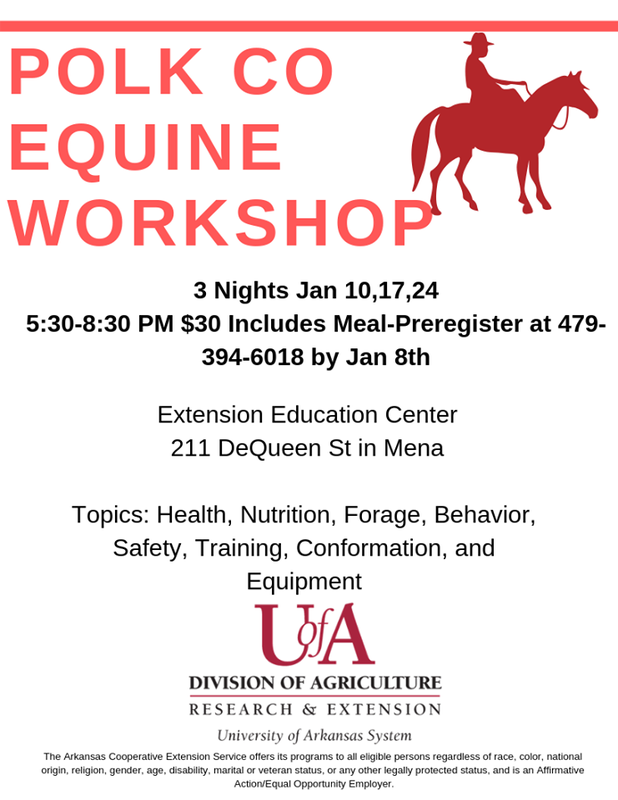 Preregister by January 8th by calling (479) 394-6018. To listen to the Governor's radio address, click anywhere on this line, then click on the "play" button, or you can read the text below. LITTLE ROCK – This will be the last radio address of my first four years as Governor. When I took office in January of 2015, four years looked like a long time. We accomplished much, and the time has passed quickly. As the year 2018 draws to a close, it is a good time to reflect and to be thankful. I am most grateful for family, community and friends, but I am also thankful for another four years to serve this state. I am moving full speed preparing for my second term. I will continue to pursue my growth agenda of competitive tax cuts, pay raises for starting teachers, government transformation and a plan to improve our system of roads and highways. As I looked to the future, I created the Red Tape Reduction Task Force to study licensing, certification and fees to see whether we can cut the costs and red tape for people in certain occupations; I created the Arkansas School Safety Commission to assess security at schools and recommend ways to ensure safety; the Transformation Advisory Board presented its plan to reduce state government from 42 cabinet-level agencies to 15. My growth agenda builds on all we accomplished during my first term, including the Computer Science Initiative, which was the first law that I signed as Governor. The initiative established Arkansas as a leader in computer-science education. We were the first state in the nation to require all high schools to offer a course in computer coding. Since the fall of 2014, the number of teachers who are teaching computer science has grown from 20 to 372; the number of students enrolled in computer science has increased by 620 percent from 1,100 to over 8,000; and the number of girls studying computer science rose from 223 to nearly 2,500. That’s an increase of 1,100 percent. We have cut taxes by $180 million, the biggest cuts in state history; 90 percent of our individual taxpayers have benefited from the cuts. Our economy is booming. Our unemployment rate has remained at historic lows, including a period in 2017 when it remained at 3.4 percent for several months. We have also improved access to post-high school technical training, and we have worked with industry to provide training in high-need professions, such as ammonia refrigeration and the repair and maintenance of diesel engines. Out-of-state business executives who are looking for a place to expand recognize that we are building a workforce that is well equipped for high-tech industry. We have successfully recruited 310 new and expanding companies, both national and international, to come to Arkansas. That has produced $7 billion in new capital investment in the state and 11,700 new jobs. The new growth numbers from the census bureau are encouraging. The report confirms that we are creating opportunities in Arkansas that keep our homegrown talent at home and attract new residents. Arkansas’s natural beauty lures tourists, and then they fall in love with our state and make it home. All of this is good news for the future of Arkansas, and I am grateful for the chance to help make it happen. Flags have been at half-staff in honor of President George H. W. Bush since December 1, 2018, The 30 day half-staff observation period will expire at midnight on December 30, 2018. Flags should be returned to full-staff at that time. Once the committee selections are announced, we will post the lists on our website. As a reminder, the House live streams all standing committee meetings and House floor proceedings during the Regular Session. 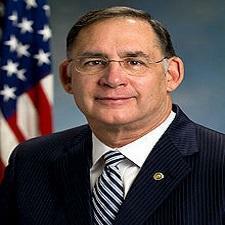 Visit www.arkansashouse.org. LITTLE ROCK – State government will get off to a fast start in 2019, when the legislature convenes in regular session on January 14 and takes up proposals to lower income taxes and simplify the tax tables. One of the main questions is how quickly to implement the full amount of tax reductions. There are some who want to phase it in over four years, others prefer to do it in three years and some believe it can be fully implemented in two years. Others want to proceed more cautiously with tax cuts, to make sure the reduction in state revenue does not force cutbacks in essential services. There also are supporters of reducing the number of tax tables to one, instead of three. Under the state Constitution the session must last for 60 days. Legislators may extend it, and in the past couple of decades they have generally lasted 80 to 90 days. Also this year there will be heightened interest in the amount of teacher pay raises. The legislature appropriates funding for public schools, and to determine how much to spend on public education legislators conduct an adequacy assessment. It is a thorough review of the financial needs of public schools. In this year’s adequacy report the Senate and House Committees on Education voted to recommend teacher pay raises of $1,000 a year, including raises for teachers with a master’s degree. The adequacy report recommends another $1,000 raise for teachers in the second year of the biennium, which is Fiscal 2021. The committee recommendations are similar to proposals by the governor to raise the minimum teacher salaries by $1,000 a year for the next four years. The plan would bring the minimum teacher salary from $31,800 to $36,000 a year. Legislators on the Education Committees also recommended an increase in the school funding formula to allow for a general 2 percent increase in teacher salaries, in order to provide raises for teachers who earn more than the minimum. Adding up all the categories, per pupil funding in FY 2020 should be $6,883, the Education Committees recommended. In FY 2021 it should go up to $6,985. For the current biennium, the per pupil foundation funding rates are $6,713 in FY 2018 and $6,781 in FY 2019. 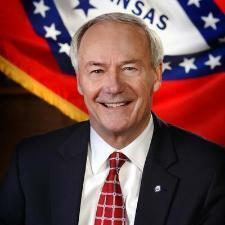 The governor has proposed reducing the number of state agencies from 42 to 15. By 2021 the savings would begin at about $15 million a year, and likely would grow over time. Budget issues will dictate law enforcement policy, specifically regulations within state prisons and regulations governing parolees. For example, the governor has proposed adding 30 parole officers to the state Department of Community Corrections in order to lower their average caseload. The department now employs 489 parole officers with an average caseload of 98. Adding 30 officers would lower their average to 90, according to the director of the department. Last year the department supervised more than 57,000 offenders on probation or parole. 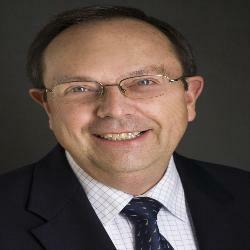 Jerry Cox is the founder and president of Family Council. 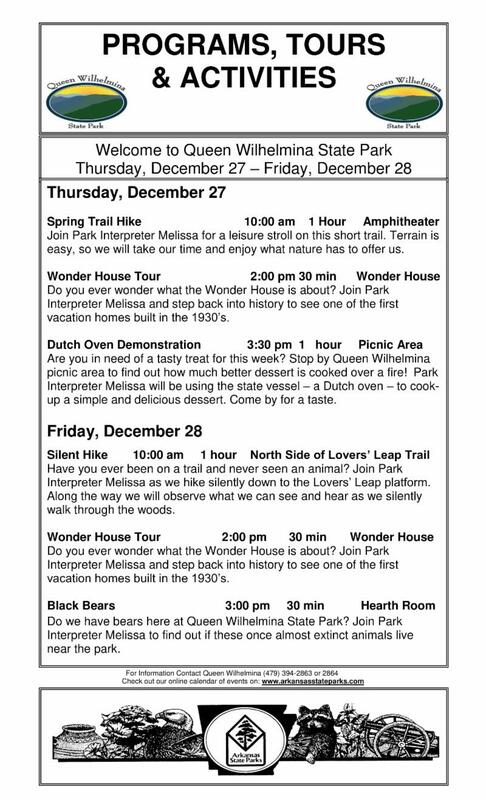 For more information about any of these activities or the State Park, call (479) 394-2863. HOT SPRINGS, Ark. 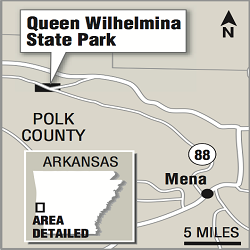 — Recreation Use fees across the Ouachita and Ozark-St. Francis National Forests are increasing next year to help continue operation and maintenance of existing facilities. 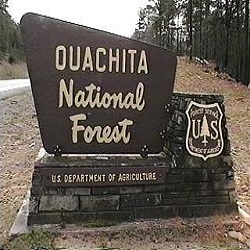 In May, the Ouachita and Ozark-St. Francis National Forests conducted public outreach, receiving comments on the fee proposals. The comments received were taken into consideration when presenting the proposals to the Southern Region Recreation Resource Advisory Committee as part of their review in August. In October, an increase in use fees were approved by the Regional Forester based on recommendations by the committee. Use fees have remained the same since 2004 throughout the forests in Arkansas and Oklahoma. The fee changes are being implemented under the Federal Lands Recreation Enhancement Act, where up to 95 percent of the fees collected on sites are returned to the Forest for operating and enhancement costs. The Ozark-St. Francis National Forests: https://www.fs.usda.gov/detailfull/osfnf/home/?cid=FSEPRD606203&width=full. To listen to the Governor's weekly radio address, click anywhere on this line, then click on the play button, or you can read the text below. LITTLE ROCK – The foster children who visited the state capitol were here for a Christmas celebration. They didn’t realize it, but they symbolize what’s at stake in the way we manage our child-welfare and foster-care system. 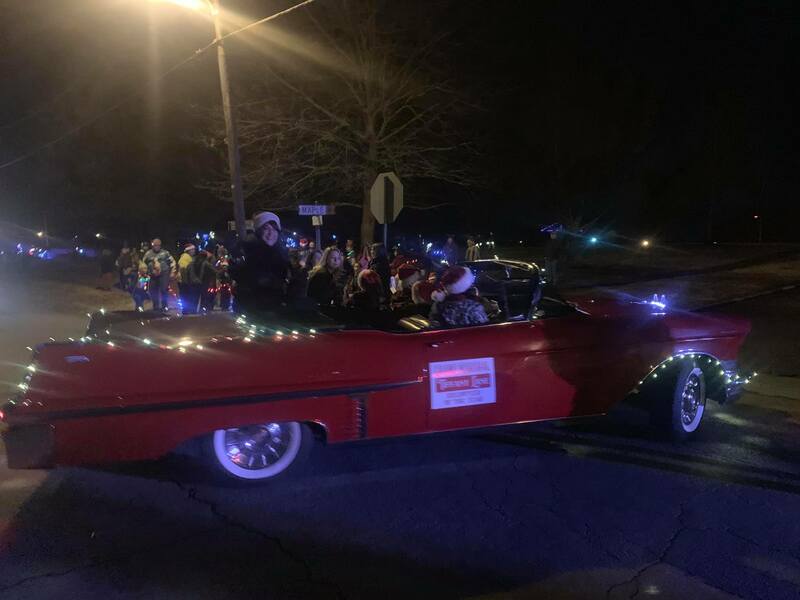 The children gathered in the old State Supreme Court chambers, where legislators, who had donated dozens of presents, and other volunteers threw a traditional Christmas party complete with a tree and adults in Santa hats. 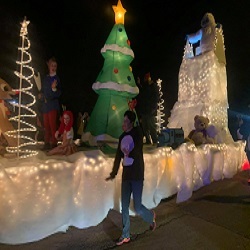 It was a happy moment for these children who don’t often experience the holiday happiness that so many of us take for granted. These children are among the 4,400 Arkansas foster children without a permanent home. That is a decrease from a peak of more than 5,000 three years ago. We are heading in the right direction. When I became governor, the state of our child welfare and foster care system was abysmal, according to a consultant’s study. The report was a heart-rending judgment on our inadequacy. Our leadership took the report to heart, and we moved with a sense of urgency to fix it. The well-being of hundreds of our children was at stake. I was especially alarmed to learn that caseworkers sometimes had to choose between bringing foster children to their homes, leaving them at a division office, or pleading with foster parents to make room for one more child. We have made great improvement in that area. The average load for caseworkers has dropped from an average of 26 cases down to 19. Our goal, of course, is to bring the number of children in foster care to zero. But until then, we want to place the children into a safe, home-like environment. Currently, more than 80 percent of the children in foster care are living in family-like settings. The statistics we keep are critical to tracking our performance and improving the delivery of our services. But one thing we can’t really mark on a graph is the compassion of Arkansans. That’s what I saw at the state capitol on Tuesday as the foster children, and some older youth who are in our juvenile justice system, were able to forget about their hardships for a moment and enjoy the kindness of people they’ve never met. For an afternoon, at least, they were having the kind of Christmas we would like for all our children to enjoy. And yes, I was one of the adults wearing a Santa hat. The Arkansas Rural Water Association applauded a policy update, based on legislation I introduced, that was included in the water infrastructure bill passed by Congress in October. My proposal, which is now law, will modernize critical water infrastructure funding and increase access to financing, particularly for rural areas often unable to afford upgrades to aging water systems. As is typical at the end of a Congress, there is a flurry of activity on the Senate floor as members work to pass their legislative priorities. My staff and I were driven to get significant legislation across the finish line that includes passage of the Forever GI Bill Housing Payment Fulfillment Act. This bill will ensure the Department of Veterans Affairs (VA) reimburses veterans for missed or underpaid Forever GI Bill housing benefits. The department’s failure to fully comply with reimbursement rates set by the Forever GI Bill resulted from IT systems that had not been properly updated and a lack of internal processes to get the VA the necessary information about payment rates. This bill will correct this problem so our veterans can receive the full benefits they were promised. LITTLE ROCK – The major political headlines of 2018 include voter approval of a constitutional amendment to allow casino gambling in four Arkansas locations. Voters also approved an amendment to require citizens to present a government-issued photo ID in order to receive a ballot. An initiated act to gradually increase the minimum wage also was approved in the November election. The four casinos are allowed in West Memphis, Hot Springs, Pine Bluff and Russellville. The minimum wage measure will increase the state minimum wage from $8.50 to $9.25 per hour in 2019, then to $10 per hour in 2020. Finally it would increase to $11 per hour in 2021. The photo ID measure writes into the Constitution many provisions of voter fraud laws enacted by the legislature in recent years. Now that the requirements are in the Constitution, they can withstand lawsuits contending that they are unconstitutional. An ongoing federal lawsuit has the potential to affect the state Medicaid program. Because Medicaid is such a large program, the lawsuit could affect the budgets of numerous other state agencies. The lawsuit challenges Arkansas Medicaid regulations that require some participants to look for a job, volunteer or take adult education and job training classes in order to get benefits. Since the requirements took effect, more than 12,000 people have been dropped from Medicaid rolls, and have been prohibited from re-enrolling until the end of the year. The requirements apply to people in Arkansas Works, a Medicaid program for adults whose yearly income is below 138 percent of the federal poverty level. 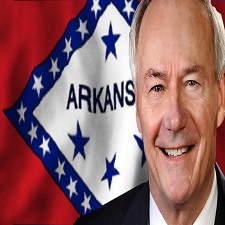 Arkansas Works was formerly known as the private option and sometimes is referred to as Medicaid expansion. It was originally established to comply with provisions in the federal affordable care act. The work requirements were essential in order to garner sufficient political support among conservatives in the legislature. Funding of Medicaid requires majorities of 75 percent in the Arkansas Senate and House. All 75 counties in Arkansas, and the great majority of its towns and cities, have joined in a lawsuit against drug manufacturers and distributors of opioids, which are prescription painkillers that are highly addictive. The state Drug Director told city officials the enormous volume of opioids being distributed in Arkansas makes enforcement and treatment extremely difficult. For example, more than 235 million pills were prescribed in a single year, although Arkansas has a population of about three million. Opioids are painkillers such as hydrocodone, oxycodone, codeine and fentanyl. Also in 2018, a non-profit organization called Information Superhighway ranked Arkansas schools first in the nation in rankings of high speed Internet capacity. The Arkansas Public School Computer Network can now provide Internet service at a rate of one megabit per second per user to 98 percent of the state's schools, which is more than any other state. The Arkansas School Safety Commission recently submitted its final report. It was created in response to a school shooting in Florida. The panel recommended that all schools have an armed person on campus whenever students are present. It also recommended improvements in how counselors and educators engage with students who have potential mental illnesses. State of Arkasnas Vs. Kevin L. Fryar W/M, age 33, Count 1 Failure to Appear a Class "C" Felony. Count 2 Failure to Appear a Class "C" Felony. State of Arkansas Vs. Alton R. Self W/M, age 40, Count 1 Possession of Drug Paraphernalia a Class "D" Felony. State of Arkansas Vs. Gary Dean Collier W/M, age 58, Count 1 Delivery of Methamphetamine or Coacaine a Calss "C" Felony. 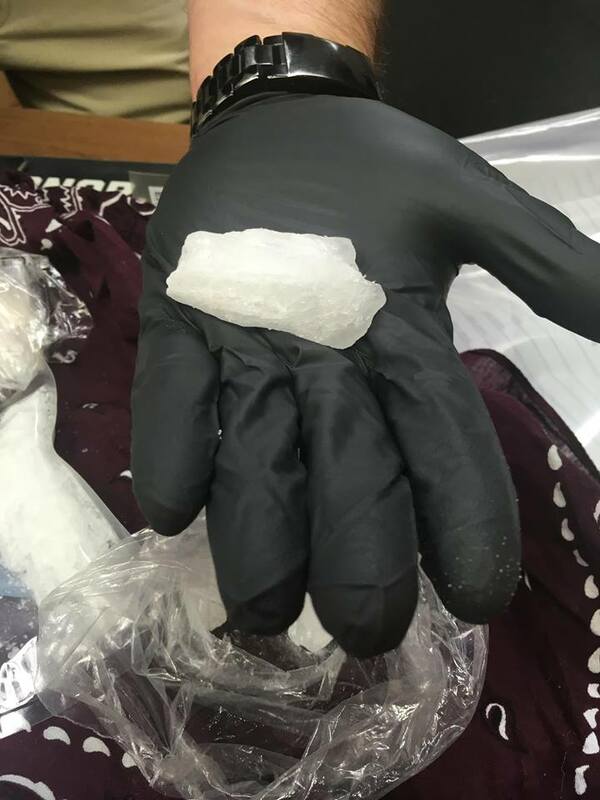 The State gave notive of intent to pursue additional penalties since the alleged sale of methamphetamines was within 1,000 feet of a church and since he has been convicted of more than one (1) felony. State of Arkansas Vs. Gary dean Collier W/M, age 58, Count 1 Violation of Suspended Imposition of Sentence. (Original Offnce Count 1 Possession of Meth with Purpose to Deliver a Class "C" Felony. Count 2 Possession of Drug Paraphernalia, Meth, a Class "B" Felony.) Bond was set at $2,500.00. 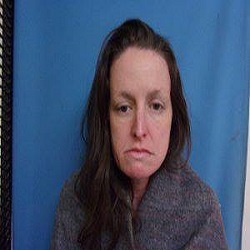 On Wednesday, December 19, 2018, the Polk County Sheriff's Office and the 18th West Drug Task Force arrested Jessica L. Martin, age 33, of Russellville, Arkansas. The arrest was the result of an investigation into a report of someone selling narcotics out of a Mena motel room. 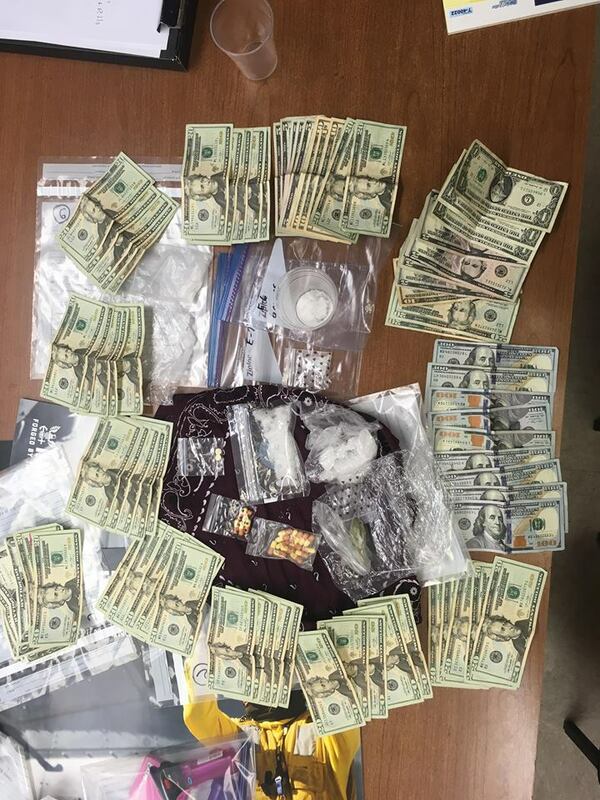 Deputies seized approximately 110 grams of methamphetamines, 1 gram of heroin, 2 ecstasy pill, 2.7 grams of marijuana, $1,925.00 in cash, and a 2006 Cadillac CTS. Martin in is custody at the Polk County Detention Center. She is facing numerous charges including Delivery of a Controlled Substance-Methamphetamines, Delivery of a Controlled Substance-Heroin, Possession of a Controlled Substance with Intent, and Possession of a Controlled Substance. Bond for Martin has not been set yet but she will be arraigned on Thursday, December 20, 2018. Polk County Sheriff Scott Sawyer stated "This arrest was the result of persistence and hard work. We have made drug investigations a priority and we will continue to aggressively pursue drug dealers in our area". 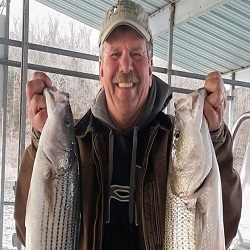 This is the Arkansas Game and Fish Commission’s fishing report for Dec. 19, 2018. If there is a body of water you would like included in this report, please email AGFCfishingreport@outlook.com with information on possible sources for reports about that lake or river. Reports are updated weekly, although some reports might be published for two weeks if updates are not received promptly or if reporters say conditions haven’t changed. Contact the reporter for the lake or stream you plan to fish for current news. NOTE: The Arkansas Wildlife Weekly Fishing Report will not be produced Dec. 26 and Jan. 2 because of the holiday season. 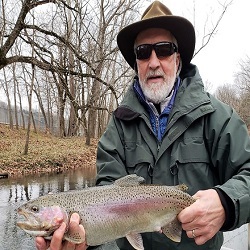 The next Fishing Report will be issued Wednesday, Jan. 9. LITTLE ROCK — Deer hunters using modern guns have one more chance to collect on their scouting time and tag a trophy. The statewide modern gun Holiday Deer Hunt is Dec. 26-28. The hunt is another testament to the strong status of deer in The Natural State. As Arkansas’s deer population has grown, this opportunity was added to help manage the deer herd and offer hunters another reason to get together during the holidays for some fellowship and fun. Deer program coordinator Ralph Meeker says many of the deer processors he has talked to have been very busy, and many deer are being taken throughout the state. He expects that trend to remain strong during the upcoming hunt. The large number of does that is typically taken during the holiday deer hunt helps balance the buck-to-doe ratio in the state, which helps maintain a healthy deer herd. Aside from the opportunity to fill a freezer with venison, the hunt has become a tradition in many homes as one last celebration of the outdoors. The Holiday Hunt is structured identically to the regular modern gun hunts with the exception that no dogs are allowed anywhere in the state. All deer taken during the hunt count toward a hunter’s seasonal bag limit for the zone where they are hunting. Some wildlife management areas and national wildlife refuges are closed to modern gun hunting during the hunt, but many will be open. “The areas that are closed are typically permit-only hunts where we manage the harvest a little closer because of the popularity of the area or its propensity to become crowded and impact the quality of the hunt,” Meeker said. Also ahead is the second Youth Hunt, Jan. 3-4. This is also statewide with no dogs allowed. Hunters under 16 years old can go after deer with modern guns, muzzleloaders or archery gear. If youths have hunter education certificates, they may hunt on their own. If they do not have hunter education certificates, they must be accompanied by a person 21 or older. The adult mentor cannot carry a firearm. 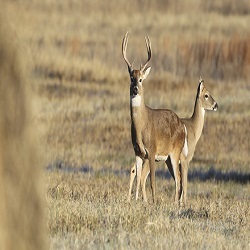 Visit www.agfc.com/en/hunting/big-game/deer for more information on deer hunting in Arkansas. The Outstanding Volunteer Service Award, which is presented annually to a community, individual or organization that through outstanding volunteer spirit has made a substantial contribution to Arkansas’s tourism industry. During the Henry Awards ceremony, the Tourism Person of the Year will also be announced. Selected by former honorees, the Tourism Person of the Year Award is presented annually to an individual who has been actively involved in tourism and who has made a substantial contribution, within the past year, to the betterment of the tourism industry as a whole. The Polk County Quorum Court met Tuesday night in Mena for the last meeting of 2018. The meeting was brief and mostly routines business. Polk County Judge Brandon Ellison read a proclamation honoring retiring Justice of the Peace Ben Finley thanking him for his years of service to the county. The proclamation was signed by the Judge and Quorum Court members. The next Quorum Court meeting will be held in January 2019. On a related note, newly elected county and municipal officials and those re-elected will be sworn in at 9:00 a.m. on January 2, 2018 in the Polk County Courthouse by Judge Danny Thrailkill. The swearing in ceremony will be open to the public. 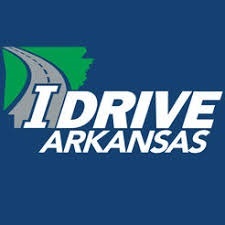 The Arkansas Department of Transportation (ARDOT) reminds drivers to “know before you go” and visit IDriveArkansas.com before traveling during this end of the year holiday. 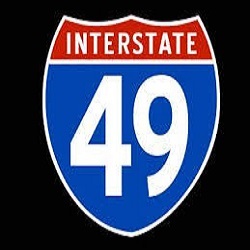 Extensive highway improvements continue through the state. With those improvements come work zones. To aid in your holiday travel, ARDOT has been working hard to open as many lanes as possible. Still, travelers will likely face work zones and possible delays due to increased traffic volume. The American Automobile Association (AAA) predicts that more than one third of Americans, a record breaking 112.5 million, will travel more than 50 miles from home between Saturday, December 22 and Tuesday, January 1. To help motorists find ways around accidents and work zone backups on Interstates, ARDOT has an Alternate Routes feature on IDriveArkansas.com. It displays linkages between the Interstate corridors and secondary routes that motorists may consider when travel is delayed. You can also follow us on Twitter @myARDOT. 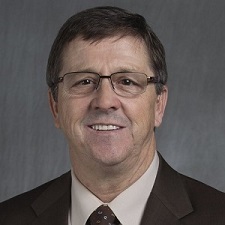 LITTLE ROCK – Senator Trent Garner, in conjunction with Representatives Bob Ballinger and Jim Dotson, have consistently vocalized the importance of reducing the costs associated with concealed carry licensure in Arkansas. Today, with support from Governor Hutchinson, Senator Garner filed legislation to enact the fee reduction. 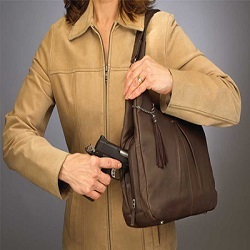 Under the proposed legislation, the initial filing fee to receive a Conceal Handgun Carry License will be reduced from $100 to $50, and the license renewal fee will be decreased from $50 to $25. The following information was received from Polk County Sheriff Scott Sawyer for the week of December 10, 2018 – December 16, 2018. The charges against those arrested are allegations and the cases are still pending in the courts. Individuals charged and whose names appear in this column may submit documentation to us at a later date that the charges have been dismissed or that they have been found innocent and we will include that information in this space in a timely manner. Report from complainant on Mena Street in Hatfield of a break-in to a residence, causing damages of $25.00 to a door. Report of a disturbance led to a 15-year-old female being issued Juvenile Citations for Battery 3rd Degree and Disorderly Conduct. The juvenile was released to the custody of a parent/guardian. Report from complainant on Highway 375 West near Mena of a missing firearm. The firearm was later located. Report from complainant on Davis Street in Hatfield of concerns regarding a juvenile. Report from complainant on Polk 64 in Shady of being harassed by acquaintances. Information has been provided to the Prosecuting Attorney’s Office for further consideration. Arrested was Logan E. Pitts, 39, of Mena, on a Warrant for Felony Failure to Appear. Arrested was Katie Flood, 20, of Mena, on two Warrants for Failure to Comply with a Court Order. Report of defiant behavior led to a 15-year-old male being issued Juvenile Citations for Disorderly Conduct and Resisting Arrest. The juvenile was released to the custody of a parent/guardian. Report of a disturbance on Polk 626 near Nunley led to the arrest of Melton Cannon, 53, of Mena, on a Charge of Domestic Battery 3rd Degree. Report from complainant on Heritage Lane near Hatfield of fraudulent charges on their credit card that had been made in another state. The information has been forwarded to the proper authorities. Report of a disturbance on Highway 88 East near Mena led to the arrest of Jimmy R. A. Lindsey, 35, of Glenwood, on a Charge of Criminal Trespass. Arrested was Lawrence V. Smith, 63, of Mena, on a Charge of Possession of Firearm by Certain Person and a Warrant for Failure to Appear. Report from a business on Highway 71 South near Mena of the theft of cash, totaling losses at $4,794.42. Information has been provided to the Prosecuting Attorney’s Office for further consideration. Arrested was Levi A. Wilson, 22, of Mena, on a Warrant for Failure to Appear. Report of a disturbance that had occurred earlier on Polk 46 near Shady Grove. Information has been provided to the Prosecuting Attorney’s Office for further consideration. Arrested was Neisha F. Wikel, 26, of Cove, on a Warrant for Terroristic Threatening 2nd Degree. Arrested was Lee E. Wisnoski, 44, of Mena, on a Warrant for Failure to Comply with a Court Order. Report of a disturbance on Heritage Lane near Hatfield. Deputies responded. One of the subjects left the residence for the night. Report from complainants on Polk 184 near Acorn of damage done to three mailboxes, totaling losses at $100.00. Polk County Detention Center Jail Population: 18 Incarcerated Inmates, with 5 Inmates currently on the Waiting List for a State Facility. 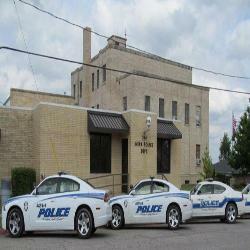 A 14-year-old Mena youth was charged with possession of a controlled substance. 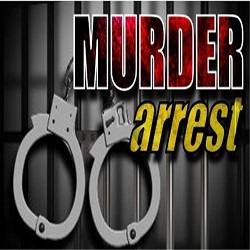 Case was turned over to juvenile authorities. Report was taken from local residents regarding allegations that someone had thrown a bottle and other items at their vehicle. Case is pending further information. Vincent Romero, 34, of Mena was charged with public intoxication and disorderly conduct after officers responded to a complaint call at a local apartment complex. Jeff Allen White, 38, of Mena was arrested on several outstanding warrants from Polk and other counties. Francine Sanders, 48, of Mena was charged with criminal trespass after officers received a call from a local retail store. She was also served outstanding warrants. Employees at a local convenience store turned over a counterfeit $100 bill that had been received in their store. Case pending. An Albertville, MN man reported that he had had items stolen from a motel room in Mena. Officers questioned all parties involved. The victim later reported that he had located the property. Report was made by employees at a local retail store regarding theft of items from their business. Case is pending further investigation and location and interview of suspects. Renee Deann Veal, 47, of Mena was arrested on two outstanding warrants for failure to pay fines and court costs. Shannon Koehler, 40, of Oklahoma City was charged with public intoxication. The arrest followed the response of officers to a bus driver regarding an unruly passenger. Melissa Marie Evans, 30, of Mena was served an outstanding warrant for probation violation. Officers met with Montgomery County law enforcement officers in Oden and brought Audrey Stinson, 62, of Mena back to Polk County and served an outstanding warrant from the Mena Police Department. Randy Len Cranfield, 21, of Mena was arrested and charged with criminal trespass after officers responded to a call at a local retail store. Officers were dispatched to a local retail store, and arrested William Wecker, 40, of Mena on a charge of theft of property (shoplifting). Arrested and charged with theft of property (shoplifting) was Kimberly Jones, 20, of Mena. The arrest followed a call to a local retail store. Krystal Machel Neer, 33, of Mena was charged with possession of drug paraphernalia after officers received a call regarding an altercation. She was also served an outstanding warrant from Polk County. Katherine Marie Laoyza, 37, of Mena was charged with theft of property (shoplifting) after officers responded to a call at a local retail store. The Arkansas Tax Reform and Relief Task Force has completed its work. This task force was created in 2017 in the same legislation that lowered the income tax rate for Arkansans making below $21,000 a year. The 2019 Regular Session begins on January 14, 2019. Michelle L. Golkhajeh, 33, of Mena was in court this afternoon before Judge Danny Thrailkill. Golkhajeh was arrested Wednesday night in Mena after her four year old child was found dead in the home. Golkhajeh was charged with Murder in the 1st degree of a person under the age of 14, a class Y felony punishable up to 10 to 40 Years or life in prison. Class Y felonies are the most serious crimes in Arkansas not punishable by death. A conviction for a Class Y felony can result in a prison term of 10 to 40 years or life. (Ark. Code § § 5-4-401, 5-4-201.) Bond was set at $1 million dollars. Arraignment is set for Monday, December 17th, at 9:00 a.m. before Judge Jerry Ryan. Golkhajeh is being held in the Polk County Jail. LITTLE ROCK – I have always considered myself a Healthy Active Arkansan, and that is why I am pleased that my administration launched Healthy Active Arkansas, the 10-year campaign to reduce the rate of obesity in our state and to increase healthy lifestyles. LITTLE ROCK – A new report from the U.S. Census Bureau had good news for Arkansas. The percentage of adults with a college degree has gone up by 2.9 percent. In 2010 the percentage of adults in Arkansas with the equivalent of a bachelor’s degree was 19.1 percent, and last year it was 22 percent. In spite of the improvement Arkansas is still below the national average. In 2017 the number of adults aged 22 or older who had a bachelor’s degree was 30.9 percent. In 2010 it was 27.9 percent. Leaders in business, government and education have been working on policies that increase the rate of students who finish college with a degree, for the general prosperity of the state. On average, adults with a college degree earn more income over their lifetimes and they tend to lead healthier lifestyles. Executives consistently say that we need a better-trained workforce in order to attract industries that are able to compete in the global economy. Knowledge-based industries, such as telecommunications and computer engineering, tend to pay more. Also, they tend to be more secure during economic disruptions. A statewide policy change with the goal of improving college graduation rates was Act 148, which the legislature approved in 2017. It restructured the funding formula under which state aid is distributed to colleges and universities. Basically, it changed the formula so that retention and graduation rates drove the amount of state appropriations, rather than enrollment. Three Arkansas counties are above the national average in their rates of adults with a college degree. 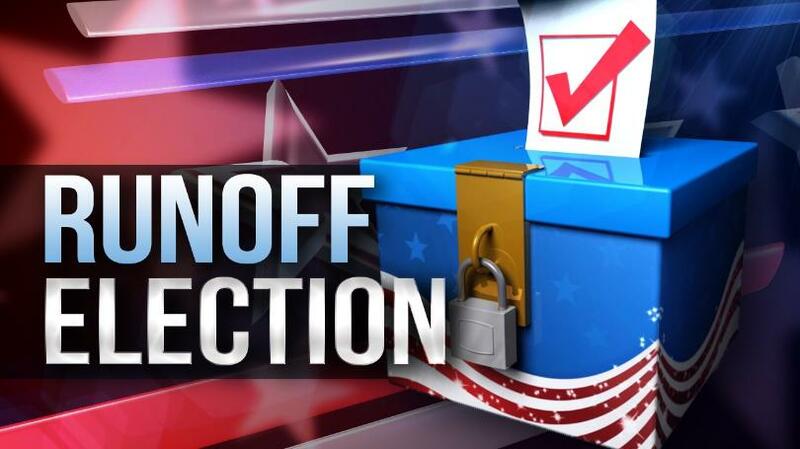 They are Benton and Washington Counties in northwest Arkansas, with 31.7 and 31.9 percent. 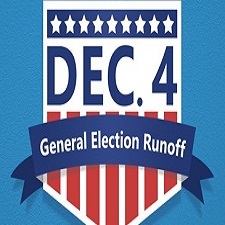 Pulaski County in central Arkansas has a rate of 33.7 percent. According to the census report, more Arkansas high school students are graduating. Since 2010, the number of adults over 18 with a high school diploma has risen from 81.9 percent to 85.6 percent. At the same time that a higher percentage of college students are finishing with a degree, fewer of our high school graduates are going on to college. Since 2013 the number of Arkansas high school graduates who go on to college has dropped, from 51.4 percent to 48.2 percent. Enrollment in higher education is sensitive to the general state of the economy, especially at two-year colleges. When the economy is good and companies are hiring, people go to work. When the economy slackens and jobs become scarcer, people tend to enroll in college to improve their job skills. The governor announced the expansion of a program that provides stipends to teachers studying to be licensed in computer science. The governor approved the addition of $200,000 to the program, bringing the total available for stipends to $1 million. Under the program, teachers from kindergarten through eighth grade can qualify for $2,000 in stipends. In the summer of 2018, which was the first full year of the program, 301 teachers enrolled in the program and completed it. There is enough funding for another 200 teachers to take the training in the summer of 2019. The News Release below was issued late Thursday afternoon by Mena Police Chief Brandon Martin. On 12/12/18 Officers of the Mena Police Department responded to a residence in Mena, the nature of the call was the death of a four year old child. Officers arrived and a short time later took Michelle Golkhajeh 33 of Mena into custody. Michelle Golkhejah is being held at the Polk County Jail awaiting formal charges of First Degree Murder. This is an ongoing investigation with the Mena Police Department, Arkansas State Police and the Polk County Sheriffs Office working the case and we ask that everyone please respect the privacy of the family. 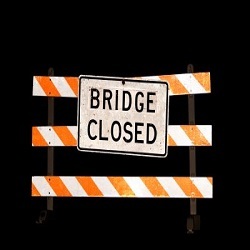 The bridge on Polk County Road 34 near Hatfield is temporarily closed while maintenance is performed, the County Judge - County Road Department announced today. Alternate routes will need to be used until the work is completed. Mena Police arrested 33 year old Michelle Leann Golkhajeh of 70 Evans Circle Wednesday night. Golkhajeh was booked into the Polk County Jail around 8:30 p.m. Wednesday, and according to the Polk County Inmate web site charged with First Degree Murder, but no formal charges have been filed. No other details are available at this time, but Mena Police Chief Brandon Martin is expected to release more information today. This is the Arkansas Game and Fish Commission’s fishing report for Dec. 12, 2018. 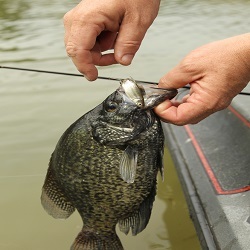 If there is a body of water you would like included in this report, please email AGFCfishingreport@outlook.com with information on possible sources for reports about that lake or river. Reports are updated weekly, although some reports might be published for two weeks if updates are not received promptly or if reporters say conditions haven’t changed. Contact the reporter for the lake or stream you plan to fish for current news. Staet of Arkansas Vs. Francine Sanders W/F, age 48 Count 1: Probation Violation (original offense Possession of Schedule II Controlled Substance with Purpose to Deliver. Bond set at $5,000.00. State of Arkansas Vs. Logan E. Pitts W/M, age 39 Count 1: Failure To Appear, a Class "D" Felony. State of Arkansas Vs. Jeff Allen White W/M, age 38 Count 1: Failure To Appear, a class "C" Felony . The following information was received from Polk County Sheriff Scott Sawyer for the week of December 3, 2018 – December 9, 2018. The charges against those arrested are allegations and the cases are still pending in the courts. Individuals charged and whose names appear in this column may submit documentation to us at a later date that the charges have been dismissed or that they have been found innocent and we will include that information in this space in a timely manner. Report from a 16-year-old female of the theft of a wallet containing $250.00 cash and personal documents. Investigation continues. Report from complainant on Woodland Lane near Mena of damage done to a vehicle by a falling tree. Deputy responded. Report from complainant on Polk 24 near Cove of being harassed by an acquaintance. Suspect was advised to cease all contact with complainant. Arrested was Michael D. Rogers, 35, of Mena, on a Warrant for Probation Violation and Non-Payment of Child Support. Report from complainant on Polk 286 near Hatfield of being harassed via social media by an unknown individual. Investigation continues. Report from complainant on McLaughlin Lane near Wickes of the theft of prescription medication, valued at $20.00. Investigation continues. Arrested was Russell G. Corbell, 37, of Van Buren, on a Body Attachment Warrant. Arrested was Sarah M. Mitchell, 25, of Mena, on three Warrants for Failure to Comply with a Court Order. Report from a Mena man that his adult daughter was missing. Investigation determined that the individual was, in fact, not missing. Report from a business on Highway 71 South in Cove of a shoplifter led to the arrest of Elizabeth A. Seman, 49, of Cove, on a Charge of Shoplifting. Report of a disturbance on Polk 178 near Mena led to the arrest of Randy L. Cranfield, 21; Jennifer E. Cranfield, 22; and Tyler L. Kamm, 21, all of Mena, each on a Charge of Disorderly Conduct. Report of a disturbance on Highway 71 South near Cove led to the arrest of Shirley Sanders, 54, of Cove, on a Charge of Battery 3rd Degree. Report from complainant on Polk 141 near Cove of the theft of a firearm. Investigation continues. Report of an unattended death on Polk 61 near Board Camp. Deputies responded. Report from complainant on Polk 93 near Rocky of an assault that had occurred earlier in the year. Reports from the cities of Grannis, Cove and Hatfield of forged checks. Investigation continues. Report from complainant on Highway 71 South near Cove of a fictitious email scam. Investigation continues. 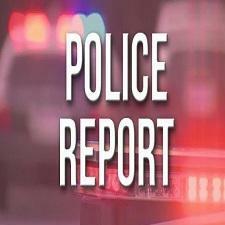 Report from complainant on Polk 26 near Hatfield of the theft of several firearms and a safe. Investigation continues. Report of a disturbance on Polk 24 near Cove led to the arrest of Neisha F. Wikel, 26, of Cove, on a Charge of Violation of a No Contact Order. Traffic stop on Highway 246 West near Hatfield led to the arrest of Jerry L. Walters, 46, of Mena, on a Charge of DWI. Traffic stop on Polk 37 near Potter led to the arrest of Colby J. Campbell, 32, of Cove, on a Charge of DWI. Arrested was Tory B. Wilson, 27, of Watson, OK, on a Charge of DWI. To listen to the online Mena - Polk County, Arkansas Police and Fire radio scanner, click anywhere on this line or on the police scanner below. Please listen respopnisbly! Arkansans spent $37,641,715.00 on lottery tickets in November of 2018 according to the Arkansas Department of Finance and Administration. Of the 75 counties, Pulaski County sales were by far the highest in the state at $7,018,185.50, while Montgomery County sales were the lowest at $30,349.00. Polk County sales were $148,557.50. The numbers are for purchases of various lottery products for the Arkansas Scholarship Lottery, also called the Arkansas Education Lottery, between November 1st and November 30th. Alton Roy Self, 40, of Mena was charged with theft of property (shoplifting) after officers responded to a call at a local retail store. Carlos Gonzales, 61 of Mena was arrested on an outstanding warrant for failure to appear. A local woman reported that her purse had been stolen. It was later returned to her, but her wallet was still missing. No suspects at this time. Two separate reports were made of a couple harassing employees at a local fast food restaurant. Case is pending location and interview of suspects. A local woman reported that she and her family have been harassed by a neighbor for quite some time. Case is pending. Report was taken of a gasoline hose being accidentally damaged at a local convenience store. The party responsible has agreed to pay for damages and no charges are pending. A Mena man reported that he was missing a substantial amount of cash. It was found on a local street and has been returned to the owner. A complaint was filed regarding a local man being harassed by his brother’s girlfriend. Case is pending. Van Holman, 26, of Mena was charged with possession a schedule VI controlled substance and possession of drug paraphernalia. The arrest followed a routine traffic stop. Officers worked eight traffic accidents. To listen to the online Mena - Polk County, AR Police and Fire radio scanner, click anywhere on this line or on the police scanner below. SPECIAL YEAR-END SAFETY CAMPAIGN: "DRIVE SOBER OR GET PULLED OVER"
Arkansas State Troopers will be joined by city and county law enforcement officers in the coming days in a unified effort to remove impaired drivers from local streets and roads as well as state and U.S. highways. The special enforcement operation begins Friday, December 14th and continues through New Year’s Day, Tuesday, January 1, 2019. NHTSA statistics from 2017 also indicate that motorcycle riders involved in fatal crashes had higher percentages of alcohol impairment compared to other motor vehicle drivers (27% for motorcycle riders, 21% for passenger car drivers, 20% for light-truck drivers, and 3% for drivers of large trucks). Nearly one in five children (14 and younger) killed in traffic crashes were killed in drunk-driving crashes. Fifty-four percent of the time, it was the child’s own driver who was drunk. 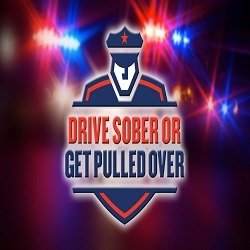 For more information on the “Drive Sober or Get Pulled Over” campaign, visitwww.trafficsafetymarketing.gov or call the Arkansas Highway Safety Office at (501) 618-8136. For information on Arkansas’ “Toward Zero Deaths” campaign to eliminate preventable traffic fatalities, visit www.TZDarkansas.org. 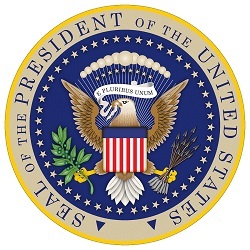 The 41st President, fond of writing letters, once wrote “I believe I was right when I said, as president, there can be no definition of a successful life that does not include service to others.” He found fulfillment and gratification in service and knew that, with a little concerted effort, his fellow Americans could experience that same joy. This doesn’t mean we must accept the same roles and responsibilities of the former president, but rather that we all have a part to play in making our neighborhood, community, state, country and world a better place. Those called to serve also wear our nation’s uniform and selflessly bear the burden of defending our interests, no matter the cost. Army Sergeant First Class Eric Emond, a member of 1st Battalion, 3rd Special Forces Group, called Springdale, Arkansas home when he enlisted in the Marine Corps 21 years ago. He dedicated his career to the military, serving in the Marines and later joining the Army. In 2009, he was severely wounded while serving in Afghanistan. Even during his recovery, he continued to help others, co-founding the Massachusetts Fallen Heroes, an organization that honors the fallen and supports Gold Star families. 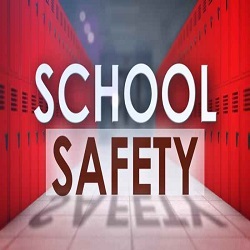 LITTLE ROCK – After nine months of interviews, statewide travel, and visits to 12 schools, the Arkansas School Safety Commission has submitted a 124-page report with recommendations to improve security for students and staff. This extraordinary report exceeded my expectations. It is comprehensive, and it already is enhancing safety in our school districts. The Commission’s five subcommittees made 30 significant recommendations that address the wide range of measures we can take to make our schools safer. LITTLE ROCK – The 35-member Senate held its organizational meeting to elect leadership and formalize the rules for the 92nd General Assembly of the legislature, which convenes in regular session on January 14. The changes in Senate rules will affect which committees will consider proposed legislation affecting alcohol, tobacco, firearms and medical marijuana. Previously, bills that affect gun laws would go to the Senate Judiciary Committee. However, under the new rules they will be referred to the Senate Committee on City, County and Local Affairs. Bills affecting tobacco and alcohol used to be referred to the Committee on State Agencies and Governmental Affairs, but now they will go to the City, County and Local Affairs Committee. Medical marijuana bills be referred to the Senate Committee on Agriculture, Forestry and Economic Development. Arkansas voters approved a constitutional amendment in 2016 legalizing medical marijuana. In the 2017 session, much of the enabling legislation that put in place the mechanism for cultivation and retail sales of medical marijuana was referred to the Senate and House Committees on Public Health, Welfare and Labor. The general consensus among senators was that the changes in rules were necessary in order to more evenly distribute the workload during the 2019 session. The committees on Public Health, Judiciary and State Agencies traditionally have very lengthy agendas. The rules changes were adopted before senators chose their committee assignments, therefore individual senators with a particular interest in alcohol, tobacco, firearms or medical marijuana had the opportunity to choose the committees with jurisdiction over those issues. The senators elected Senator Jim Hendren of Gravette as President Pro Tempore for the next two years. Senator Bart Hester of Cave Springs will be the Majority Leader and Senator Scott Flippo of Bull Shoals will be the Majority Whip. Senator Keith Ingram of West Memphis will be the Minority Leader and Senator Will Bond of Little Rock the Minority Whip. Senator Larry Teague of Nashville will chair the Joint Budget Committee. Senator Jonathan Dismang of Beebe will chair the Senate Revenue and Taxation Committee. Senator Ronald Caldwell of Wynne will chair the Senate Committee on State Agencies and Governmental Affairs and Senator Jason Rapert of Conway will chair the Senate Committee on Insurance and Commerce. The Senate Judiciary Chairman will be Senate Alan Clark of Lonsdale. Senator Gary Stubblefield of Branch will chair the Senate Committee on City, County and Local Affairs. 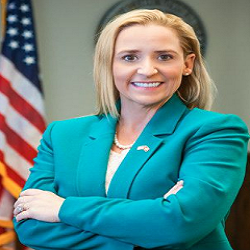 Senator Missy Irvin of Mountain View will chair the Senate Public Health, Welfare and Labor Committee and Senator John Cooper of Jonesboro will chair the Senate Agriculture, Forestry and Economic Development Committee. The Senate Education Committee will be chaired by Senator Jane English of North Little Rock. 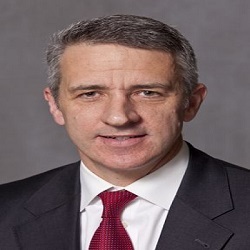 Senator Blake Johnson of Corning will chair the Senate Committee on Transportation, Technology and Legislative Affairs. Senator Bill Sample of Hot Springs will be co-chair of the Public Retirement and Social Security Committee. Senator Cecile Bledsoe of Rogers will be the Senate co-chair of the Legislative Council, and Senator Rapert will be the Senate co-chair of the Legislative Joint Auditing Committee. 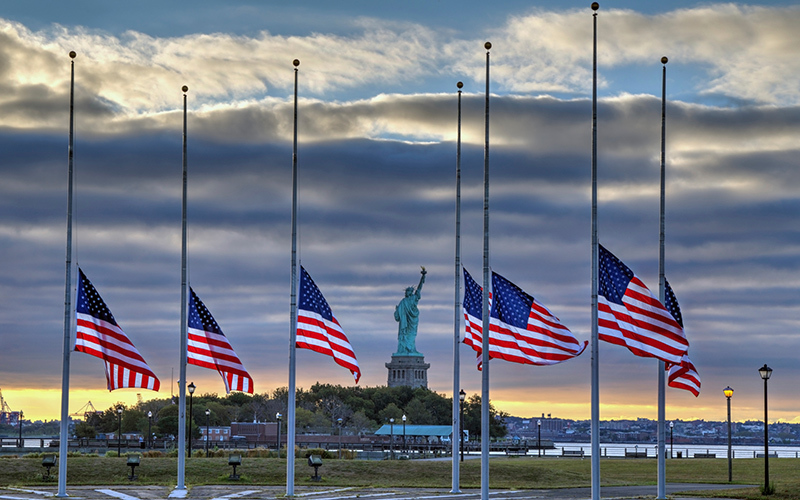 United States Flags Should Remain at Half- Staff Until Sunset on December 30, 2018 in Honor of George H.W. Bush. 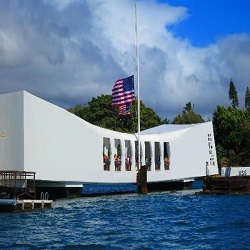 Flags are flown at Half-Staff each year on December 7th for Pear Harbor Remembrance Day. Despite the shock and confusion of the moment, American service members and first responders on the island of Oahu mounted an incredibly brave defense against insurmountable odds. American pilots took to the air to engage enemy aircraft, sailors took their battle stations, and medical personnel cared for the wounded. Many witnesses to the events of that day perished in the attacks, leaving countless acts of valor unrecorded. Nevertheless, 15 Medals of Honor were awarded - 10 of them posthumously - to United States Navy personnel for acts of valor above and beyond the call of duty. Although the United States Pacific Fleet at Pearl Harbor was badly impaired, America did not falter. One day after the attacks, President Franklin Delano Roosevelt declared to the Congress: "No matter how long it may take us to overcome this premeditated invasion, the American people in their righteous might will win through to absolute victory." And, in the weeks, months, and years that followed the brutal attack at Pearl Harbor, Americans united with a steadfast resolve to defend the freedoms upon which our great Nation was founded. Millions of brave men and women answered their country's call to service with unquestionable courage. These incredible patriots fought, bled, sacrificed, and ultimately triumphed for the cause of freedom. We are blessed as a Nation to have as examples the incredible heroes of World War II, who fought so valiantly to preserve all that we hold dear. Earlier this year, I had the tremendous honor of meeting Mr. Ray Chavez, who was the oldest living Pearl Harbor veteran. Ray passed away only a few weeks ago at the incredible age of 106. But his legacy is forever etched into our country's rich history, along with the legacies of all our brave veterans. They tell of the mettle of the American spirit under fire and of the will of our people to stand up to any threat. The selfless bravery and dedication of these extraordinary Americans will never be forgotten. State of Arkansas Vs. Clay E. Breeden W/M age 39 Count 1: Possession of Drug Paraphernalia a Class "D" Felony, Count 2: Possession of Methamphetamine With The Purpose To Deliver a Class "C" Felony, Count 3: Possession of Drug Paraphernalia a Class "D" Felony, Count 4: Refusal To Submit To Arrest a Class "B" Misdemeanor, Count 5: Fleeing On Foot a Class "C" Misdemeanor. State of Arkansas Vs. Clay E. Breeden W?M age 39 Count 1: Delivery Of Methamphetamine Or Cocaine a Class "C" Felony. State of Arkansas Vs. Matthew Cannon W/M age 38 Count 1: Forgery In The Second Degree a Class "C" Felony, Count 2: Forgery In The Second Degree a Class "C" Felony, Count 3: Forgery In The Second Degree a Class "C" Felony, Count 4: Forgery In The Second Degree a Class "C" Felony, Count 5: Forgery In The Second Degree a Class "C" Felony. State of Arkansas Vs. Kimberly Morriss W/F age 35 Count i: Probation Violation. (Original Offense Count 1: Fleeing a Class "D" Felony, Count 2: Possession of Drug Paraphernalia a Class "A" Misdemeanor, Count 3: Refusal To Submit To Arrest a Class "B" Misdemeanor, Count 4: Criminal Mischief In The First Degree a Class "A" Misdemeanor.) Bond set at $10,000.00. The following information was received from Polk County Sheriff Scott Sawyer for the week of November 26, 2018 – December 2, 2018. The charges against those arrested are allegations and the cases are still pending in the courts. Individuals charged and whose names appear in this column may submit documentation to us at a later date that the charges have been dismissed or that they have been found innocent and we will include that information in this space in a timely manner. Arrested was Elizabeth A. Seman, 49, of Cove, on a Warrant for Failure to Appear. Citations for Careless/Prohibited Driving and No Proof of Insurance were issued to Jeffery M. Prine, 53, of Cove. Report of a disturbance on Highway 71 South near Cove. Deputy responded. Information has been provided to the Prosecuting Attorney’s Office for further consideration. Report from complainant on West Johnson Street in Hatfield of vehicles passing a stopped school bus. Investigation continues. Report from complainant on Milhall Lane near Shady Grove of the break-in and theft of keys from a vehicle. The keys were returned. Information has been provided to the Prosecuting Attorney’s Office for further consideration. Report from complainant on School Street in Cove of the theft of a vehicle. Investigation continues. Report from a business on Highway 71 North in Mena of forged checks, totaling losses at $2,000.20. Investigation continues. Traffic stop on Highway 71 South in Cove led to a Citation for Possession of a Schedule VI Controlled Substance being issued to Kaylee K. Earls, 19, of Fort Smith. Additional information has been provided to the Prosecuting Attorney’s Office for further consideration. Traffic stop on Highway 71 North near Acorn led to the arrest of Lorne D. Edwards, 47, of Mena, on Charges of DWI 2nd and Careless Driving. Traffic stop on Highway 71 South near Potter led to the arrest of Zachary W. Jones, 33, of Live Oak, FL, on a Charge of DWI. Arrested by an officer with the Arkansas Game & Fish was Brian W. Peters, 46, of Mena, on a Warrant for Harassment. Polk County Detention Center Jail Population: 20 Incarcerated Inmates, with 2 Inmates currently on the Waiting List for a State Facility. Employees at a local fast food restaurant reported that a customer had become verbally abusive and was making threats before leaving the business. Case pending location and interview of suspect. Report was made of an unidentified man taking items from a local retail store without paying for them. Case is pending review of surveillance tapes and location and interview of suspect. Donnie Dollarhyde, 45, of Mena was arrested on several outstanding warrants for failure to appear and failure to pay. A Mena man reported that unauthorized debits had been made to his bank account. Case pending. Kimberly Morriss, 35, of Smithville, OK was arrested on an outstanding felony warrant. Trinna E. Myers, 38, of Mena was arrested on an outstanding warrant from Polk County. A local woman reported that her daughter’s medication was missing. Case is pending further investigation. Kaylie Marie Stroud, 22, of Mena was charged with failure to vacate. Amy Harrison, 29, of Mena was arrested on two outstanding warrants for failure to pay fines and court costs from the Mena Police Department. A local man reported that he has a missing firearm. Case is pending location and interview of suspect. Michael Lynn Lance, 55, of Mena was charged with driving on a suspended driver’s license, having no liability insurance, and having no vehicle tags. He was also served an outstanding warrant from the Polk County Sheriff’s Office. Tori Veal, 25, of Mena turned herself in to authorities on an outstanding warrant for failure to pay fines and court costs. A Mena man reported that he is habitually being harassed by a neighbor. No charges have been filed at this time. Clay Breeden, 39, of Mena was arrested and charged with possession of drug paraphernalia, fleeing, obstructing governmental operations, having no liability insurance, two counts of possession of methamphetamine or cocaine, possession of schedule VI controlled substance, running a stop sign, possession of schedule I or II controlled substance, possession of a controlled substance, and resisting arrest. The arrest followed a traffic stop. A local man reported he is being harassed by an acquaintance. No charges have been filed at this time. A local woman reported that someone has charged several items to her account. Case is pending further information. Roger Burton, 29, of Mena was arrested and charged with violation of a no contact order. The Grand Marshall was Mena's Volunteer of the Year, Tiffany Lane (shown above). 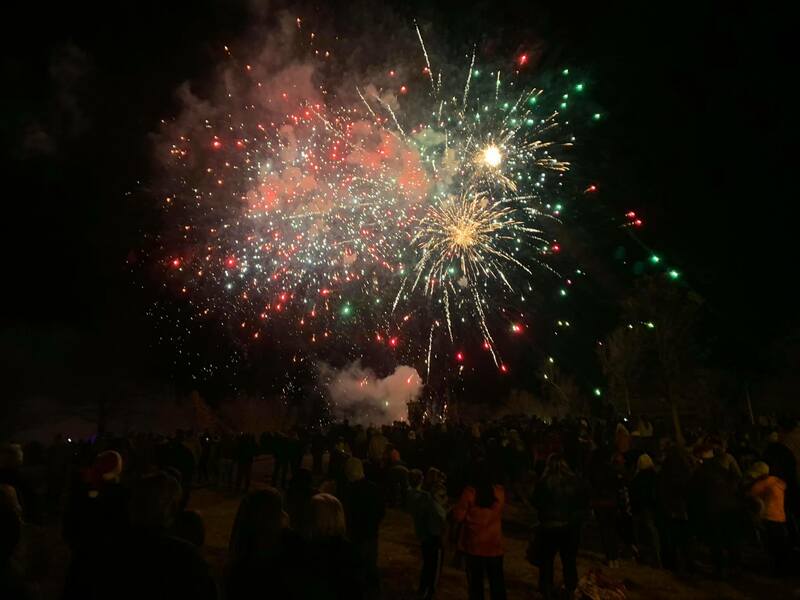 Attendees were treated to music and fireworks at Janssen park after the parade. More pictures are on the Mena/Polk County Chamber of Ceommerce Facebook page. Congratulations to the winners and thanks to all who partivipated and made this very special day possible! 10:00 a.m. – 11:00 a.m. Weaving Wonders (1 hour) Looking for a Christmas gift that will surprise and delight everyone? Join a park interpreter and weave in the wonders of the season. Dress for the weather for we will be outside and inside. 2:00 p.m. – 4:00 p.m. Primal Paints (2 hour) The world's first artists painted graceful animals and other scenes from their daily lives on cliffs and caves using homemade paints. Discover the artist in you as you create your own painting using these same techniques. 10:00 a.m. – 11:00 a.m. Bird Track Candles (1 hour) The glow of these candles will ignite warm memories of the beautiful birds whom call Cossatot home for the winter. With a park interpreter you can make your own take home candle to remind you who likes to hang around during the winter. 10:00 a.m. – 11:00 a.m. Guess Who’s Coming to Dinner? 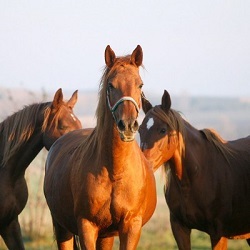 (1 hour) An animal’s favorite food can tell us a lot about them. Join a park interpreter to see if you can guess who’s coming to dinner! 3:30 p.m. – 4:30 p.m. Homemade Gift Day (1 hour) Amanda Evanson said, “A Gift that’s handmade, Is a gift not replaced. Entrapping sweet memories, That can’t be erased.” There’s just something amazing about unwrapping a gift, wondering what’s inside. The kinds of gifts you can make is limitless, and if you don’t possess the skill to create a gift you can certainly use this as your excuse to learn! Join your park interpreter as we create a one of a kind gift on Homemade Gift Day. 9:00 a.m. – 11:00 a.m. Bir-r-r-r-rd, It’s Cold Outside! (1 hour) Did you know that not all birds fly to warm sunny places in the winter? Visit with a park interpreter as we discover the birds who spend their winter here. 10:00 a.m. – 11:00 a.m. What If You Had Animal Hair (1 hour) “What if one day when you woke up, the hair on your head wasn’t yours? What if, overnight, a wild animal’s hair grew in, instead? Join a park interpreter to discover some of the wild animals living at Cossatot River State Park-Natural Area and why they have the hair they do. 2:00 p.m. – 3:00 p.m. Paper Perfect (1 hour) The perfect present deserves the perfect paper. 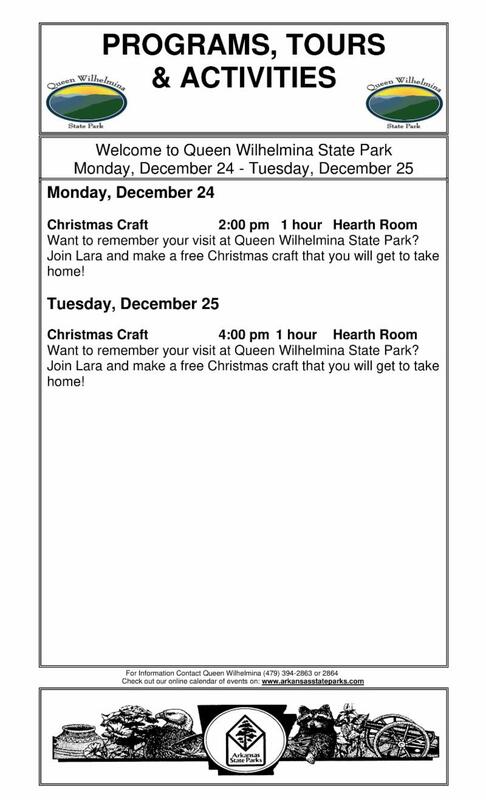 Join a park interpreter to learn about the park's evergreens and create a one of a kind wrapping paper featuring some of nature's prettiest patterns. 3:00 p.m. – 4:00 p.m. Bundle Up! (1 hour) It is getting cold outside and it is the time of year for us to break out our coats and make hot cocoa to stay warm. Join a park interpreter to learn about the animals that live here and how they stay warm to survive the winter. 10:00 a.m. – 11:00 a.m. Morning Stroll (1 hour) Join a park interpreter for this easy to moderate, guided hike on the Harris Creek Trail. Feel free to bring binoculars; who knows what we will see or stir up. 9:00 a.m. – 10:00 a.m. Forefathers’ Day (1 hour) Join a park interpreter as we venture back in time to discover Cossatot’s Forefathers and celebrate this unique holiday. 10:00 a.m. – 11:00 a.m. Caring for Critters (1 hour) Whether you know it or not there are all kinds of wildlife in your backyard! Join a park interpreter to discover how to provide for the wildlife that call your yard home. Today, we will be making a bird feeder to take home. 1:00 p.m. – 2:30 p.m. Solstice Star Stories (1 hour 30 mins) “With winter’s short days and Earth offering little food or comfort, many stories of winter constellations share a common theme?” Do you know what it is? Come and find out if you are up to a challenge. 3:00 p.m. – 4:00 p.m. Cossatot Craft Corner (1 hour) Do you enjoy being creative? Would you like to begin earning an explorer badge? Join a park interpreter to use your creativity, have fun, and discover something special that can be found in the park. 10:00 a.m. – 11:00 a.m. Tracks, Scats, and Signs (2 hours) There are many wild animals in fields, and forests and ponds. Some of them are easy to see; but a lot of them are hard to find. Wild animals leave clues everywhere they go. Join a park interpreter as we look at some of the signs to help identify which animal(s) have been in the area. 10:00 a.m. – 11:00 a.m. Constellation Card Game (1 hour) Meet a park interpreter to learn about winter constellations and create a card game to challenge your family and friends. 2:00 p.m. – 3:00 p.m. Firefly Fun (1 hour) Did you know that fireflies are the only known night-flying insects that hunt? As you visit with a park interpreter you will discover a hidden code that they use to navigate the night and find their prey. We will even have fun trying to become a firefly through games and activities. 3:30 p.m. – 4:30 p.m. Walk on The Wild Side (1 hour) Join a park interpreter for an “Adventure in a Box” walk. It is sure to be a Wild time! 10:00 a.m. – 11:00 a.m. Navigating the Night (1 hour) Have you ever wonder how animals find their way in the night. Meet a park interpreter to discover the special adaptions that allow these animals to find their way in the night. 3:30 p.m. – 4:30 p.m. The “Lorax” Project (1 hour 15 mins) One of the greatest children’s book authors of all time, Dr. Seuss, wrote this thought provoking book, “The Lorax” over forty years ago. With quotes like, “Unless someone like you cares a whole awful lot, nothing is going to get better. It’s not.” This book has spurred many people into action. Meet a park interpreter in Wildlife Viewing Area to hear the book and become a part of The Lorax Project. 1:00 p.m. – 4:00 p.m. First Day Hike (3 hours) This family-friendly hike of the Harris Creek Trail will lead us to Goat’s Bluff, one of the most scenic vistas in the park. Afterwards, we’ll warm up with hot chocolate and S’mores. Cider and Hot tea will also be available for those who prefer to abstain from sweets. Contact the park at 870-385-2201 for more details. 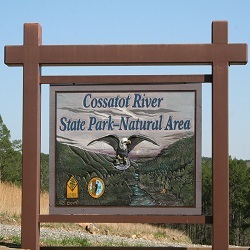 For more information about any of these programs or Cossatot River State Park-Natural Area, dial (870) 385-2201. Pursuant to U.S. Code (4 U.S.C. 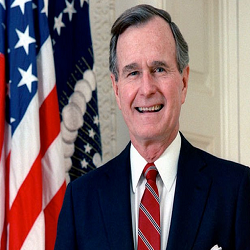 7m), the United States flag should be flown at half-staff beginning immediately for 30 days due to the death of former President George H.W. Bush. 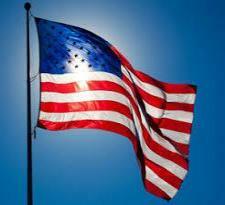 The state flag of Arkansas is to be flown at half-staff in the same manner. Last night the world witnessed the passing of someone we all considered our friend. It was always the personal touch of George H.W. Bush with so many Americans. I remember the notes he would write after a campaign visit to Arkansas in 1986; the hug he gave to encourage me and others after his defeat for a second term; the patriotic tears he might shed when he learned of the sacrifice and courage of our soldiers; and the love he always had for his family. All Americans can identify with the heart of a man we watched serve our country from WWII to the liberation of Kuwait. 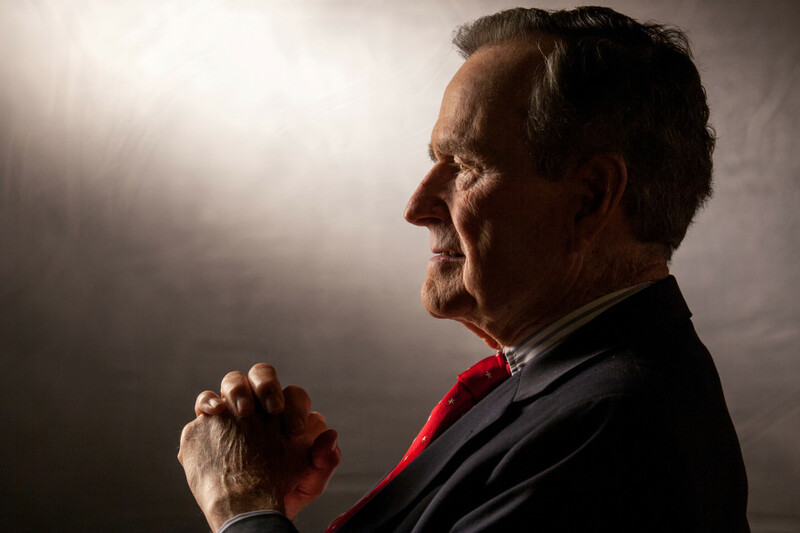 Susan and I will be remembering the Bush family as we all reflect on a friend and great American patriot."